Ibizia party, Circoloco, has been a mainstay of the Spanish island's club lineup for over twenty years now. Having since taken the party around the world to exotic destinations, everywhere from Dubai to Barcelona, always making sure to prioritize the music above all else. 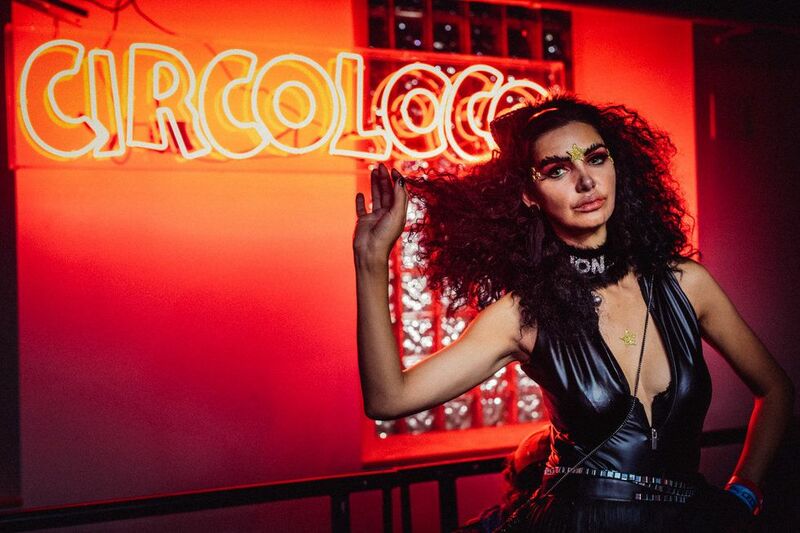 The party brand's success has brought them back to the refurbished warehouses of Brooklyn in conjunction with local promoters Teksupport — this time, at a fresh new space in the Navy Yard — for their third Halloween in NYC. Tapping some of techno's most exciting underground talents, Circoloco recruited house impresarios The Martinez Brothers, Korean rising star Peggy Gou, and former Air Guitar World Champions-turned-psychedelic duo Blond:Ish, and Off-White boss and creative director of Louis Vuitton Men Virgil Abloh to round out the heavy-hitting lineup. With a distinct lack of flashy LED boards and fancy stage decoration, the focus was solely thrown on the costumed crowd bathed in a monochromatic red light. The audience constantly pulsed to the gradually evolving sets throughout the favoring a trance-like progression of shifting beats and additive landscapes. An even mix of hypebeast fanboys decked out in the latest Off-White, various costumes busted out ahead of the 31st, and fashion-passable looks elevated to just the right level of outlandish to reflect the season, weaving through the crowd one encountered a whiplash-inducing variety of people.